Some controversy with Glen Helen over the jumps put in and they were tamed down a bit which made riders happier. Not a lot of passing though, thoughts on the track? I really think Glen Helen could be a great National track. The elevation change is a big plus for a motocross track. The dirt is also good when watered. That’s something they did good I thought this year. It wasn’t over watered like we’ve seen in the past. In my opinion, the track builders want to do too much. Some parts of the layout is racing friendly. For example, from the last downhill of the layout to the finish line, the track was pretty much just a bike wide because it’s not designed well. I thought the chicane on top of Mount St Helen wasn’t very interesting. But, what I dislike the most is all the split lanes of the track as well as the man made inside berms or bumps. Split lanes never work. It’s either one line that is better all day or everyone takes one side, it gets destroyed and the other becomes fastest. But, at the end of the day, only half of the width of the track is used. If they can come up with a smarter layout with less man made obstacles/split lanes, Glen Helen could become one of the best tracks for racing and most enjoyable tracks for riders with some changes. The problem is that it doesn’t seem like it will change anytime soon. The philosophy of the track has been the same for years. Eli Tomac really impressed again, he was dominant in moto one, made a late charge in moto two to win the overall…thoughts on his race and what was he doing late in moto two that made up that gap to Jason Anderson? Before talking about Eli’s incredible ride, I have to talk about Jason’s second moto. What a big change compared to last weekend and even the first moto. His riding was unbelievable at time. He rode really well, very smooth in some sections, aggressive in others, kept his momentum, rode standing up way more than the first 3 motos. For 10 laps, Jason and Eli were riding at the same pace. Both of their fastest lap came on lap 5 and were only .1 second apart… It’s after lap 10 (of 14) that Eli gained ground. Eli had the ability and the resources to clock some mid-2:40’s which was pretty much his best lap time when Jason could only do 2:42’s and 2:43’s. That’s why the lead melted like snow in the sun (french saying). 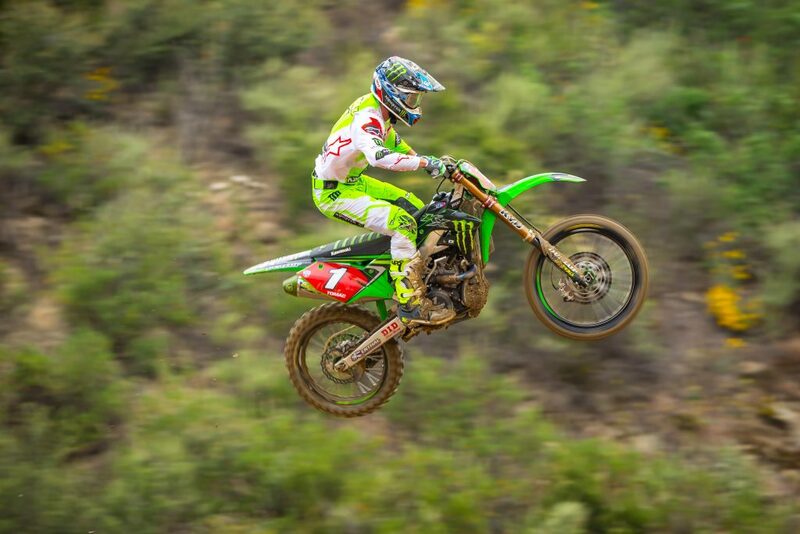 But, Jason’s performance was overshadowed by Tomac but he should get some credit. He kind of let go in the last 2 laps but relegated Marvin 33 seconds behind. That’s a great performance when he was 30 and 44 seconds behind Marvin in the motos in Hangtown… Jason rode very well in that second moto, let’s not forget that. Eli was just on another planet. What to say about Eli’s ride that hasn’t been said? A few things were amazing about his second moto. First of all, he never quit. Most of the riders with 8-10 seconds deficit with 4 laps to go on a sketchy track like Glen Helen would take it easy. Eli kept going without knowing he could actually catch Jason. Before he started catching Jason, the gap stayed the same for a few laps. That’s where you can see his will to win is huge. I’d bet that any points leader in that position and overall winner (Jason wouldn’t have won the overall with the moto win) would’ve taken it easy. Secondly, Eli used his creativity to play with the track and find fastest lines. We saw him using quite a few different lines at the end of the moto. When most riders are scared to change lines because they aren’t sure if they’re gonna work, Eli gambled on some. And it worked. He started playing with the bumps more, using his legs to pre-jump them. He found lines to miss them in other parts of the track and started using more outsides. His speed in the turn where Christian Craig crashed in the first moto was insane. Same thing after the two huge step up’s. He jumped over bumps, railed the 2 next outsides often while standing up all the way. For someone like me who loves riders who used their technique and creativity to go fast, I was loving it. And lastly, to do what he did in the last 2 laps, to clock 2:40’s after 25 minutes of racing, you got to have an amazing fitness and physical preparation. His ride was very inspiring in many ways! It was great to see Ken Roczen lead laps and finish as runner-up in moto 1- he’s not quite where he needs to be yet but that was an impressive turnaround from last week…your thoughts? I actually don’t really know why he got 16th in the second moto last week. I’m guessing his hand/arm was the issue. He looked ok last weekend in the first moto for being off the bike since February and without racing a National since his Suzuki days but Glen Helen was a huge improvement. Since his first arm injury in Anaheim in 2017, seeing Ken lining up behind a gate is already a big accomplishment. 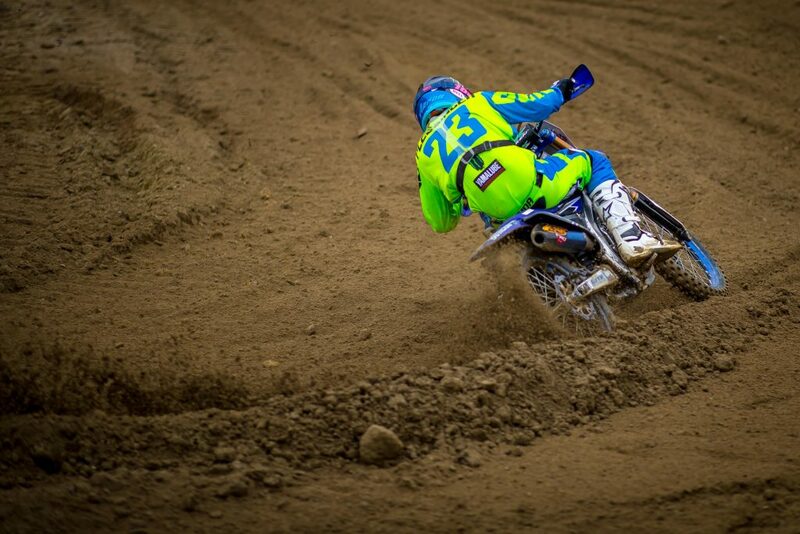 After Hangtown, I thought to myself that he should’ve waited longer before coming back at the races. After Glen Helen, he made me change my mind. You can see he’s compensating a lot and might not have his full strength in his arms but his riding is good. The technique is still here, he uses it well despite not being at 100%. I would’ve been curious to see what he would’ve done without his pit stop in moto 2. 2 moto top 5’s was doable. Do I think he could’ve beaten Marvin? I am not sure. I think Musquin rode in survival mode in moto 2 when he saw he had nothing for Jason and Eli. Maybe he would’ve picked it up if Ken was around. Ken’s improvement is very noticeable and I hope we will see him at his full potential by the end of the series. We need him to battle for moto wins! What’s your take on Marvin Musquin’s race? Sometimes I wish Marvin was less of a mathematician and more of a dirt bike racer. Less of a Dungey, more of a Tomac or RC or RV in his mind/spirit. We’ve seen it many times with Marvin, he never really gets out of his comfort zone to surpass himself by taking more chances to improve his results. He likes to stay in control and score big points when he sees that winning could be very challenging. In a 24-moto championship, it’s a good strategy. RD5 won a lot of titles with his philosophy. It’s not bad at all, I just wish he could hang it out more. With his technique, experience and racing IQ, I’m 100% confident Marvin can ride with Eli in Hangtown and ride with Jason and Eli in Glen Helen. He has the technique, the creativity, the fitness, the bike and everything else needed to reach this level. I just think he’s thinking long term and championship points without pushing the envelope too far. It was another smart race by Marvin but not a very exciting one. Right now, I feel like he’s banking on the fact Tomac could throw it away and lose precious points. If Tomac doesn’t, Marvin will have to take his destiny in his hands and start trying harder to win motos before it’s too late. The 450MX field is depleted with Craig going out early, Baggett and Roczen in the back to start moto two- is there another year you can remember it being this thin? I will blame the huge money the industry is throwing to the 250 class for this not so deep 450 field. That’s a subject for another column because I could talk for a while about this. 250 riders making more money racing the 250 class than the premier class is hurting the top class. Yes we have some injuries, Seely, Webb, Wilson, then Millsaps retired and Tickle got banned but it’s not the only reasons. 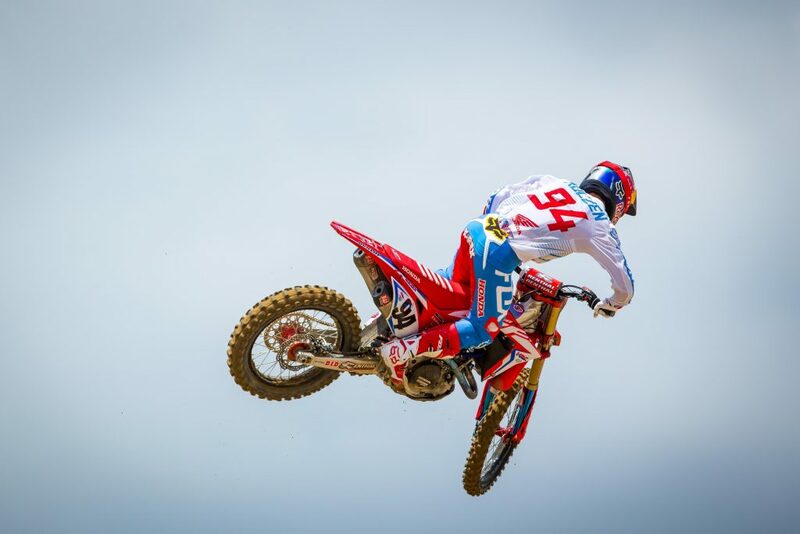 No disrespect to A-Ray, who I like, but when he becomes a factory 450 replacement rider, it means there’s something wrong somewhere. It’s a great opportunity and I’m happy for him but it also tells us that there’s something to be fixed. It’s not because I’m a former rider who like to talk about “back in the day” but the field hasn’t been that deep for a while. The top guys are great and amazing and most likely better and faster than any other legends of our sports. The depth is the problem. I remember Team Honda having Windham, Lusk, Pichon, Tortelli and Larocco in a satellite team. I remember Team Yamaha having Reed, Ferry, Voss and myself. When today, manufactures spend (well) over a million dollars on 4 250 riders, there’s much left to spend in the 450 program. Aaron Plessinger was great at GH, I told him after the race that I can imagine winning a moto wire to wire and THEN ripping through the fast guys to win moto two must be a great feeling and better than a 250SX win, which he agreed with. You’ve done both- what’s a better feeling? And then talk about how Plessinger was getting around that track so fast? What else did you see from the 250SX class?